Rand Schools can enrol your child in grades R through to 11. We currently have limited vacancies in some of our grades, and extend an invitation to you to apply for admission to our school. We are currently accepting applications for admission to Grade R (Children turning 6 years old), 1 (Children turning 7 years old) and for Grade 8 in 2016. If you need schooling for children in other grades, please contact us to enquire if we can accommodate your child. Prospective parents are invited to visit our school and to spend some time with our public relations team who will gladly give you a tour of the school and its facilities. Are you interested in securing a place for your child at Rand Preparatory or Rand College ? E-mail the college at admissions@randschools.co.za with your contact details and we will call you to finalise your application for admission. You may also download our Application for Admission form by clicking on the attachment below. 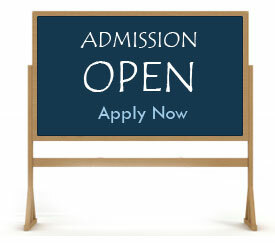 If you wish to finalise you admission, you can complete this form and fax it back to (011)624-2420.